Vijayawada, Mar 18: The Jana Sena announced allotment of seven Assembly and two Lok Sabha seats each to the CPI and the CPM under the poll alliance for the April 11 elections. 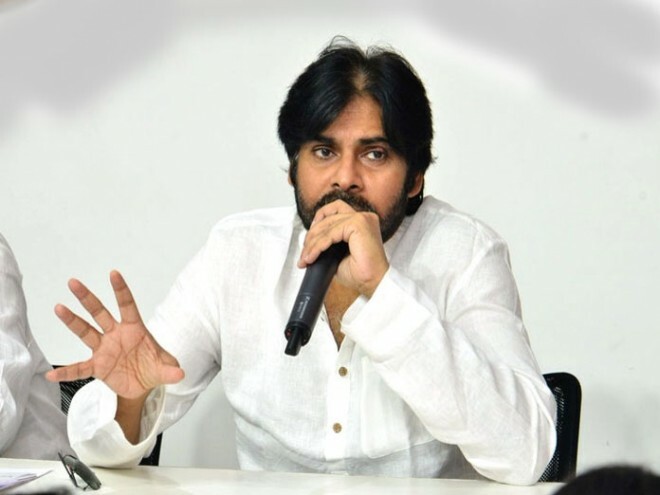 Jana Sena chief K. Pawan Kalyan, while addressing a press meeting in the party office at Vijayawada on Sunday, said that the alliance for the upcoming Assembly elections with the Left was finalized after the one with the Bahujan Samaj Party of Mayawati. He said that he finalized the poll alliance after discussions with the CPI and CPM state secretaries K. Ramakrishna and P. Madhu. He said that the Kurnool and Nellore MP seats along with Kurupam, Araku, Rampachodavaram, Undi, Vijayawada Central, Santanutalapadu, and Kurnool Assembly seats had been allotted to the CPM under the poll alliance. The CPI was allotted the Palakonda, S. Kota, Visakhapatnam West, Nuzivid, Mangalagiri, Kanigiri, and Dhone MLA seats, along with Anantapur and Kadapa Lok Sabha seats. Ramakrishna and Madhu claimed that people were seeking a change of government and 'zero budget' politics, which was being offered by the Jana Sena. Elsewhere, Parchur Bhaskar Rao, a relative of minister Ganta Srinivasa Rao, joined the Jana Sena and Pawan Kalyan welcomed him into the party.